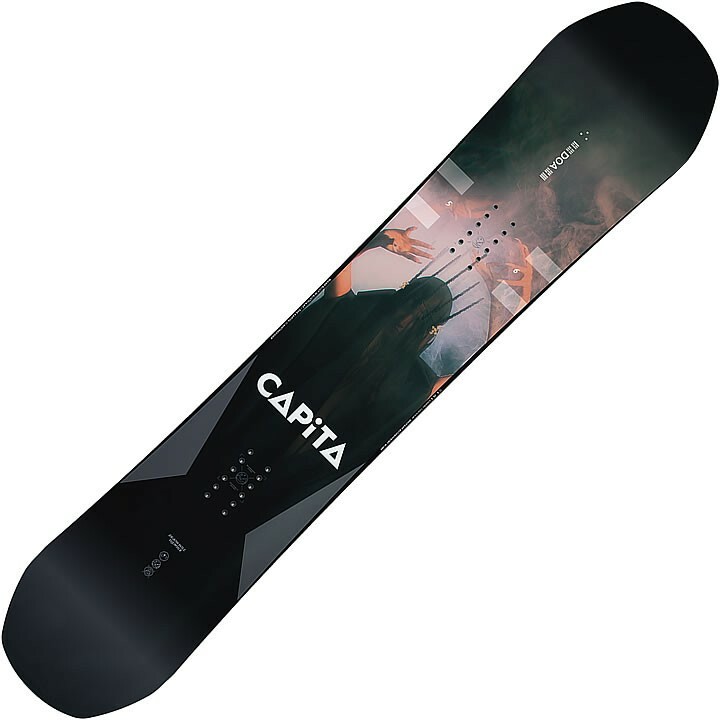 The CAPiTA Defenders of Awesome series has a big reputation and these boards back it up. As winners of the most coveted design award in snowboarding for an unprecedented six years in a row, this highly sought after series has now won a Transworld Good Wood Award every single year of its existence. That's an undefeated record, folks! The DOA features a next-generation hybrid-camber design which delivers the pop and response of a cambered board with the predictability of reverse-camber. With construction technology like Fortress™ Kevlar Bound Sidewalls advancing these boards beyond their modest retail price, the DOA series stands proud as the ultimate go anywhere, do anything freestyle deck. All Terrain V2 Profile: CAPiTA's ALL-TERRAIN V2 Profile boards take full advantage of the benefits of traditional camber, zero camber, and reverse camber. This next generation design allows you to get the pop and response of a cambered board with all the predictability and easy turn initiation of zero camber or reverse camber shapes. FSC® Certified Dual Core™: Poppy lightweight Poplar core combined with Beech for increased power and durability. Carbon Fiber Beams: Increased power and response while remaining ultralight. Fortress™ Kevlar Bound Sidewalls: Heavy duty protection with refined flyweight kevlar. Superdrive™ Base: The new standard in sintered base material, this UHMWPE is precision forged for high abrasion resistance and a super smooth glide.